This is positively stunning. It is some kind of U.S. globalist corporate control that has never before been attempted by any president. President Donald Trump will lift a ban on American firms selling to Chinese telecom giant ZTE, according to the Wall Street Journal. But here is the kicker, Trump will lift the ban only after forcing ZTE to make big changes in its management and board seats, along with potentially paying fines. 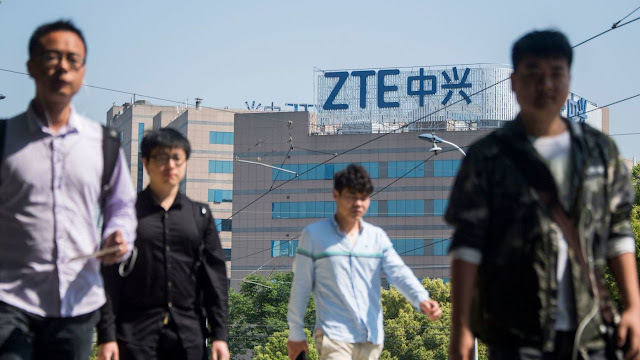 The Commerce Department last month banned U.S. companies from selling to ZTE because it failed to comply with its agreement with the U.S. government after violating sanctions against trade with Iran and North Korea. And so corporate leaders IN CHINA who defy U.S. sanctions by conducting free trade with Iran and North Korea must go because they have defied the U.S. government. Only then will the U.S. president allow trade between the company and the U.S. entities to resume. This will send a chilling signal to all major international corporate officials: Attempt free trade with countries that the United States has put on a blacklist and you may lose your corporate position as part of a deal to continue trade with the U.S.
Wow. This makes Trump a global corporate trade monster the likes of which we have never seen before.